After so many leaks, speculations, statements from the company, Mi has finally launched the Mi A2 and Mi A2 lite - the successor of the last year's Android One Mi A1. 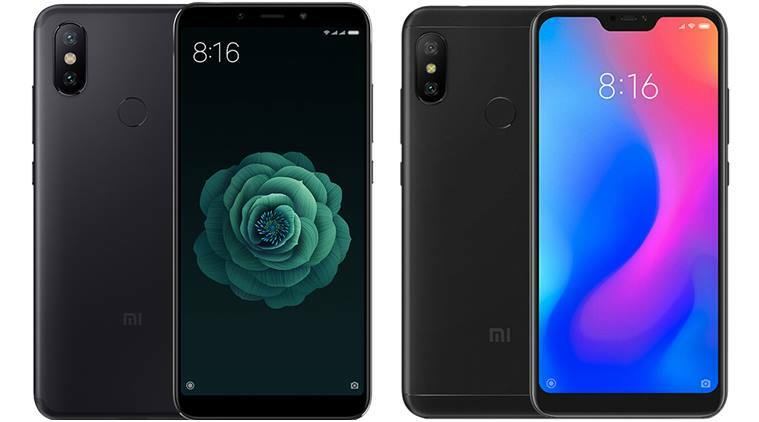 This happened even after the company went on to state officially that there is no device as Mi A2 on the cards. But none the less, the device is here finally. Mi A2 sports an all aluminum body with is curved. The 2.5D curved 5.99" display (with an aspect ratio of 18:9) on the phone is protected by Corning Gorilla Glass 5 and the thickness of the phone is just 7.3mm. There is no headphone jack on the device which is not surprising as the Mi 6X didn't have it too. The camera on this generation is a major upgrade from the previous generation. The phone now sports AI Dual Rear Camera. The primary lens is a 12 MP Sony IMX486 sensor and the second lens is a 20MP Sony IMX376 sensor. Both the lens have a wide aperture of f/1.75. The primary lens has a pixel size of 1.25 µm and the second one has a 2 µm 4-in-1 Super-Pixel. This should give a really good low light performance and enhance the depth of field as well. The camera features AI Portrait Mode powered by Machine learning which helps you take better portrait shots even in low light. The front camera is a 20 MP Sony IMX376 sensor with a 4500k selfie-light which will help capture great selfies at night. This sensor also uses 4-in-1 Super-pixel making the pixel size as large as 2µm. The front camera has the AI Portrait mode as well. It uses advanced algorithms to make the portrait shots even better. The camera has Auto HDR capabilities which give great shots. Mi A2 is powered by the QualComm Snapdragon 660 SoC which uses the latest Kryo cores for amazing performance and thermal efficiency. The phone manages to get a good score of 139,208 on the AnTuTu benchmark. It is coupled with upto 6GB LPDDR4X RAM and upto 128GB of eMMC 5.1 in-built storage. The device uses a 3000mAh battery to power the device and a Type - C connector to charge it. The phone under the Android One programme comes with Android 8.1 and will be amongst the first few devices to get the Android P officially. Google offers Unlimited storage in the Photos app and some additional features while still keeping the UI minimalistic. Google has also integrated the Google Lens right into the camera app of this phone. The device is available in Gold, Blue, and Black color. The phone starts at €249 (~₹20,000) for 4GB + 32GB variant, €279 (~₹22,500) for the 4GB + 64GB variant and €349 (~28,000) for the 6GB + 128GB variant. The phone comes with an aluminum body design with a 5.84" display. The phone comes with a notch design bumping the aspect ratio to 19:9 giving you a little bit of more screen and less bezels. The antenna lines on this phone are not as immersive as on the A2. They can be seen clearly but still looks good and doesn't hinder the overall design. Mi A2 Lite comes with a Dual (12MP + 5MP) rear camera. The primary lens comes with a pixel size of 1.25µm. The front camera on this one is a 5MP shooter but both cameras feature the AI Portrait mode to capture great portrait shots. The phone comes with the same QualComm Snapdragon 625 SoC which is quite an old chipset but Xiaomi says it still offers great performance even in 2018 when compared to other chipsets of this range. A2 Lite is powered by the Android One programme as well and comes with all the features that it includes such as Unlimited storage, Google lens, faster updates. Mi A2 Lite sports a bigger 4000mAh battery which coupled with the efficiency of the Snapdragon 625 should give a great battery life. The phone comes with Dual Pyrolytic Graphite Sheets which helps keep the phone cooler up to 2°C. The phone will be available in the same Gold, Blue, and Black Color. The prices starts at €179(~₹14,500) for the 3GB + 32GB variant and €229 (₹18,500) for the 4GB + 64GB variant. One thing to note is that the Mi A2 Lite will not be available in India.